Whether you call them Earth Cakes or Garden Cakes, these make fun gifts to give for Earth Day–and the kids will love making them with you! In your bucket combine potting soil, water, and garden dirt if needed. You want the mixture to be “packable” and able to keep its shape. Place some wax paper on your work surface. 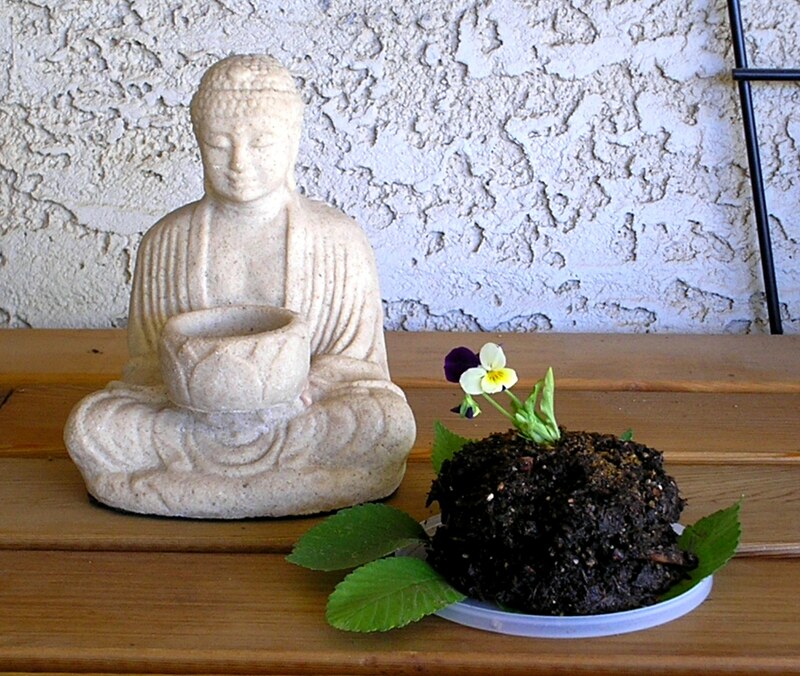 Pack a small ball of your soil mixture. Place it on your wax paper and gently press into a flat disc or “cake layer.” Use your can as a cookie cutter to create uniform layers. Make two per cake. Sprinkle a small amount of flower seeds over each layer. Gently pat the seeds into the cake. (I used a wildflower seed mixture for attracting butterflies and hummingbirds). Let your cake layers dry for a few minutes. By now your cake layers should be dry enough to handle without breaking. Gently peal them off the wax paper and position them on your cake plate seed side up. Decorate the top of your cake with a small sprig of flowers or a few small leaves. Lay each layer in a pot or in the garden and cover with a small amount of soil. Refer to the direction on your seed packet for planting depth and watering instructions. Are you a creative person? Do you enjoy crafts, art, writing, music, gardening, and other creative activities? Join us at Museiddity.com! How do you celebrate Earth Day? Shout it out here in the comments section!